According to IOC, “Seven is the number of athletes who have appeared at seven Olympic Games or more, the outright record holder being Canadian show jumper Ian Millar, who made ten appearances between Munich 1972 and London 2012. 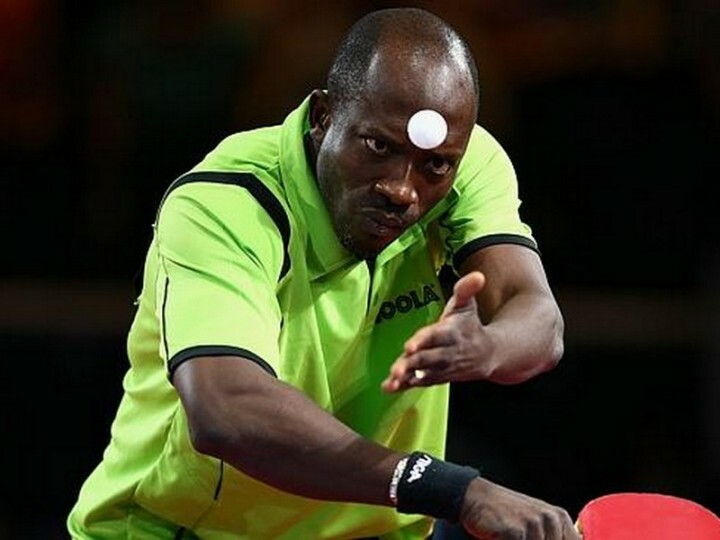 Figuring large among the group of evergreen performers with seven Games to their name is legendary sprinter Merlene Ottey, while this most select club is about to welcome a new member in Nigerian table tennis player Segun Toriola, who booked his place at Rio 2016 in February. “Toriola was only 18 when he made his Olympic debut at Barcelona 1992, teaming up in the doubles with Oluyomi Bankole. The Nigerian pair scored a solitary win in the group phase, over Cuba’s Ruben Arado and Santiago Roque. After further first-round exits in both the singles and the doubles at Atlanta 1996 and Sydney 2000, Toriola reached the third round of the singles at Athens 2004. “In Beijing four years later, he produced the best performance of his lengthy Olympic career to date, scoring back-to-back wins over former world No1s David Zhuang of the USA and Belgium’s Jean-Michel Saive, and then taking the Republic of Korea’s Oh Sangeun to a seventh set. Appearing at London 2012 at the age of 37, Toriola went out in the second round to Sweden’s five-time world champion Jörgen Persson. “Born in Illorin, the capital of the western Nigerian state of Kwara, Toriola became Africa’s undisputed No1 on the back of his unreadable forehand drive, topspin game and speed across the ground. A four-time continental champion between 1998 and 2006, he has also won four African Games titles, a Commonwealth Games gold medal – at Manchester 2002 – and a string of men’s doubles, mixed doubles and team titles. Segun Toriola presently ranks 122 in the world with 2034.00 points.